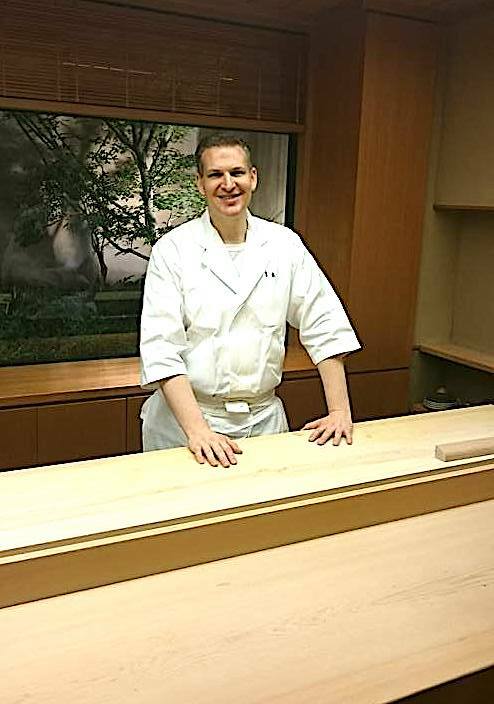 Our guest is Derek Wilcox who studied Kaiseki cuisine at the 3 michelin-starred restaurant Kikunoi in Kyoto, and Edomae sushi at Ginza Sushi Aoki in Tokyo, also Michelin-starred, for 10 years in total. Now he is the chef at Shoji at 69 Leonard Street in Tribeca, New York, which earned a precious 3 star rating from the New York Times. Many cooks aspire to study Japanese cuisine in Japan, but it is not easy because of language and cultural barriers. Derek’s background is impressive and refreshing. In this episode, we will find out how he conquered challenges at the traditional (yet forward-minded) restaurants in Japan, how he interprets Japanese food culture, how he expresses the idea on his menu at 69 Leonard Street, and much, much more!